Home » West Virginia University uses CatDV as part of it’s marketing and communications strategy. WVU were impressed with CatDV’s flexibility and logging capability. 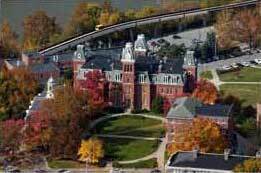 West Virginia University uses CatDV as part of it’s marketing and communications strategy. WVU were impressed with CatDV’s flexibility and logging capability. 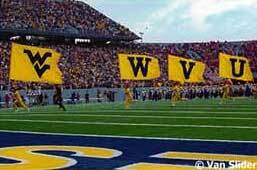 West Virginia University is the state’s flagship institution of higher education. With 14 colleges, two divisional campuses and a total enrollment of more than 32,000, it is one of only a handful of universities of its kind in the United States: doctoral-degree granting, land-grant research universities, with a comprehensive medical school. The university makes extensive use of video in both its athletics and advancement operations, and it plays a key role in marketing the university to potential students, faculty and staff as well as donors and other supporters. Video is displayed across a range of formats, including television, internet and it’s on more than 100 digital signs across campus. The University also generates its own in-house advertisements that appear on national TV. Its archive holds a wealth of material covering life on campus and records of past events of interest to the University’s constituents. Fred Marstiller, Manager of Communications Engineering, explains that the University puts a lot of resources into the development and production of short form video, with 5 to 10 minute clips being particularly popular and important for selling and communications, although longer videos are also produced. With extensive use of graphics and special effects, the storage and logging is important to the smooth running of the University Relations department. The institution’s University Relations division employs more than 100 specialists across a range of fields including graphics design, news, web, video and photography. The team includes 20 producers and is constantly busy, growing both the range and volume of activities. An illustration of this is their current project to scan, digitize and catalog a large archive of old photographs, and then combine them with around 1.5 million newer digital photos to create a digital archive of photos from the University’s past. Each has to be imported into an asset management database and accurately tagged to ensure efficient archiving, with a large number of users accessing the media hub via both PCs and Macs. Other software used includes Avid and the full range of Adobe products, all of which links to several media servers at various locations across the large campus with a combined capacity of over 250Tb of storage space. Storage is a big issue for Marstiller, with projects such as the archiving of university records contributing to a growth in requirements of around 35Tb per annum. While the decision to use a P2 DVCPro format, for video that is more space hungry, has added to their storage needs, the move from SD to HD has also been a factor. Workflow has been improved considerably since CatDV was installed as the core platform for archiving, with centralization of asset management now possible. Historically, producers, photographers and graphic designers accessed their own servers that in turn led to a range of personalized appro-aches in areas such as logging, with limited standardization or consistency of approach. All that has now changed, and workflow has improved in terms of both quality and efficiency as a result. One particular note is CatDV’s ability to import metadata created in the past by various other tools. This made it possible to preserve metadata from previously logged digital photographs, something which has speeded the import process considerably by eliminating the need to re-log clips in CatDV. When the decision was made to restructure and make more effective use of the wealth of digital media assets acquired by the numerous videographers, photographers and graphics designers, as well as centralize and more effectively share digital assets, they realized that an asset management system was needed that would be capable of tracking a high volume and wide range of digital media, while being flexible enough to accommodate numerous workflows and end user preferences. To find this system, the starting point was to define the absolute best way of approaching each task and then to try to find a system that most closely delivered those requirements. In particular, West Virginia University required a very high level of flexibility, to enable the user interface to fit the many workflow plans. With many systems, they quickly found that changes either required the support of the manufacturer, with all the costs and delays implicit in that route, or were relatively limited and cumbersome to implement. CatDV won through as it offered almost limitless potential for tailoring, whether at the level of user defined logging tabs, meta data importing and field setting, or its ability to import and hold a large range of file formats including P2 video, non-media documents, PDFs and photos. Other systems were considered, but these lost out on flexibility and cost. A final point highlighted by Marstiller was the level of service, support and care taken by the CatDV developers. The University found very quickly that the development team were open to feedback and suggestions and quite prepared to build in changes and improvements to the software that are now available to all users.